We previously reported about the Dubai Police's impressive lineup of "patrol cars," which include the likes of the McLaren MP4-12C and the Brabus G63 AMG. If these cars aren't impressive enough for you, then perhaps seeing the police force's fleet of supercars actually rolling on the street might make you fall off your chair. In a YouTube video released by the Dubai Police, you can actually see what may be the law enforcement agency's complete lineup of supercars. Other than the aforementioned vehicles above, you will also spot a Ferrari FF, a BMW M6, a Nissan GT-R, a Mercedes-Benz SLS AMG, a Bugatti Veyron, an Audi R8 and a Bentley Continental GT. Nope, there's no Toyota Vios here. 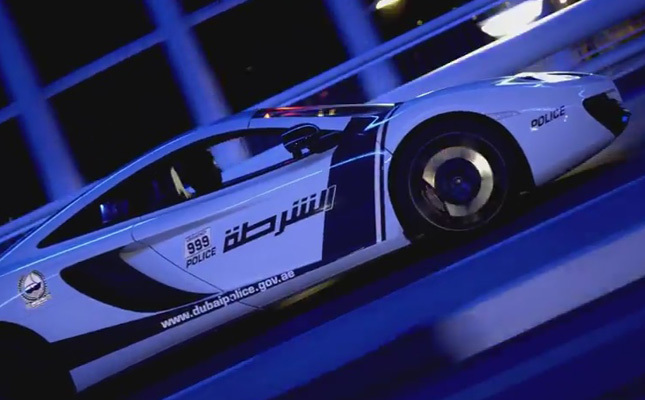 Check out the video below to see Dubai's super police cars on the road.